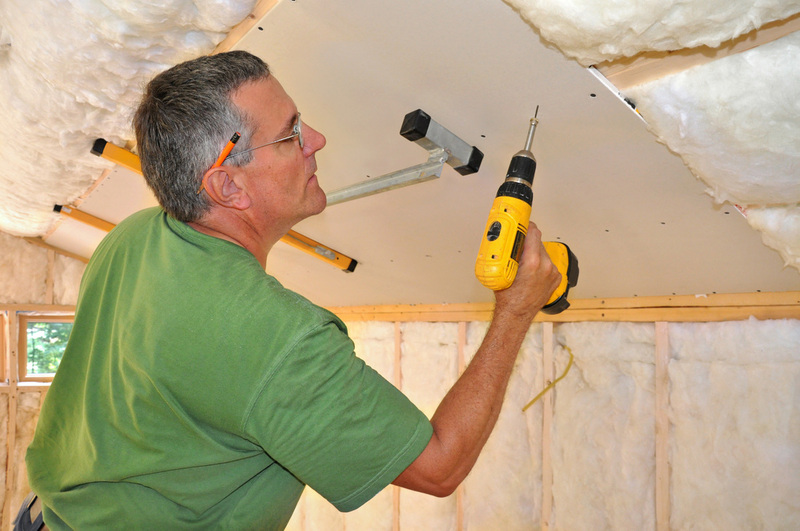 Sugar Land Roof Repair is a fully licensed and insured drywall and painting contractor. We have been in business for decades now, offering top quality drywall and painting services. These services are for commercial drywall, residential, metal framing/TI work, remodels/custom homes, acoustic/popcorn removal, insurance work, and small patch jobs/texturing. We are committed to complete our valued customer satisfaction for all. We will provide interior repairs for any holes, cracks, water damaged walls/ceilings, HVAC, electrical, windows, and much more. We are experts in matching textures and providing an upgraded finish as to look brand new. We will also hang new drywall in the specified areas, top with a few coats of texture to match your existing finish that you have. Or we can top with three coats of mud, sand and touch up to match your smooth finish, however you would like. In regards to any cracks or patch areas, water damaged and/or any other problems, we will remove all the loose material, seal with primer, apply adhesive/nylon mesh tape, mud areas with our fast setting compound, and texture. We take the extra effort in making your patches blend in seamlessly for we are the experts in this area. We also will provide non-asbestos acoustic removal in your residential multi-family homes, commercial, town homes, or any other type of project needed. When removing popcorn ceilings, we provide extensive masking and tarping so that your property is fully protected. We also drape some high-durable plastic from the top pf the ceiling to the bottom of your floors to enclose the affected area we are working on. We will then overlap our durable plastic over the floor and up the walls so that no acoustic debris will get all over the affected areas. Then we will repair all damages, apply the second coat of topping to match walls and/or provide the new finish. Then the sealing and painting begins. A stain-locking sealer is necessary to prevent ceilings from bleeding through or staining for we have seen this happen to many times. In regards to any acoustic ceilings that were actually built prior to 1977, they need to be tested by a licensed laboratory to determine if they contain asbestos for your safety. Any ceilings which show any type of asbestos will need to be taken out by a licensed asbestos abatement contractor, which we are not. Of course, we can recommend two facilities that we highly recommend for testing. It is a small cost for you to have someone come in and have a sample tested and you will have results in just a few days, well worth the cost and effort for you and your family’s safety. CALL US TODAY MORE MORE INFORMATION!